"Wolf Cubs Address Labels" product is already in your cart. 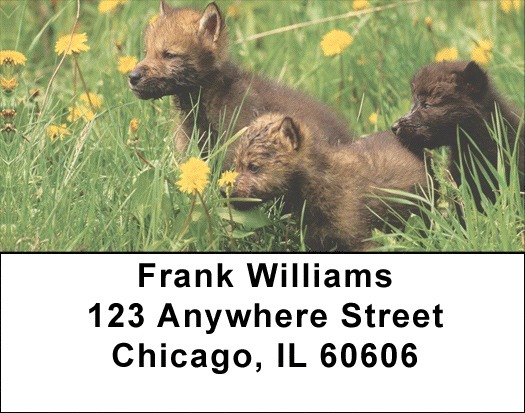 Let these cute cuddly and courageous cubs worm their way into your heart with Wolf Cubs Address Labels. Wolf cubs are playful and adventurous. The chase each other, roll around and wrestle with one another. Born blind and deaf, pups open their eyes around 12-14 days after birth and begin to eat meat after 4-5 weeks. Mother wolves get a break from their litter when others pack members babysit, feed, and play with the cubs. Wolves are very social creatures and have been known to bury pups that die and mourn their loss. Matching personal checks are also available.